NOTE: Any wood floor sanding and refinishing should be done by a qualified wood floor professional. This is NOT a DIY project. The information here is to help you understand the processes involved. Individual manufacturers may provide instructions which vary from the generally accepted practices of the trade. FinishingWoodFloors.com and any of it's affiliated sites take no responsibility in any way for these instructions or use of them. We have made it possible for THIS directory page to stay on your browser while linking to pdf pages, thus, X out of the link page to return here for more great information concerning the Finishing of Wood Floors. 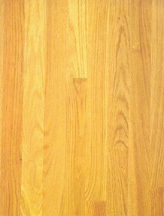 Oak flooring that carries the OFI and/or NOFMA trademark/certification is a precision-made product of enduring beauty. The proper finish enhances both grain and color and protects the wood. Poor quality or poorly applied finish allows the wood's natural beauty to deteriorate and creates an unneeded maintenance problem. This manual has incorporated many years of practical experience. Described are some methods and products that give a beautiful lasting finish to newly installed oak and other hardwood flooring. 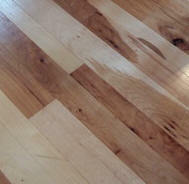 How to restore the beauty to existing hardwood floors that have become unsightly from wear or neglect is also covered. Acceptable floor finishing materials are produced by many manufacturers, who have also developed application procedures appropriate for their products. Read the manufacturer's instructions thoroughly BEFORE proceeding with finishing. The instructions given here are of a general nature... Where they vary from the label instruction of the product or equipment being used ALWAYS FOLLOW THE MANUFACTURER'S DIRECTIONS WITH REGARD TO SAFETY EQUIPMENT AND INSTRUCTIONS. These procedures and equipment use is NOT for the Do-It-Yourself handy man. FinishingWoodFloors.com assumes NO (NONE) what so ever liability for the use of these procedures.